"Rembember, remember the fifth of November." 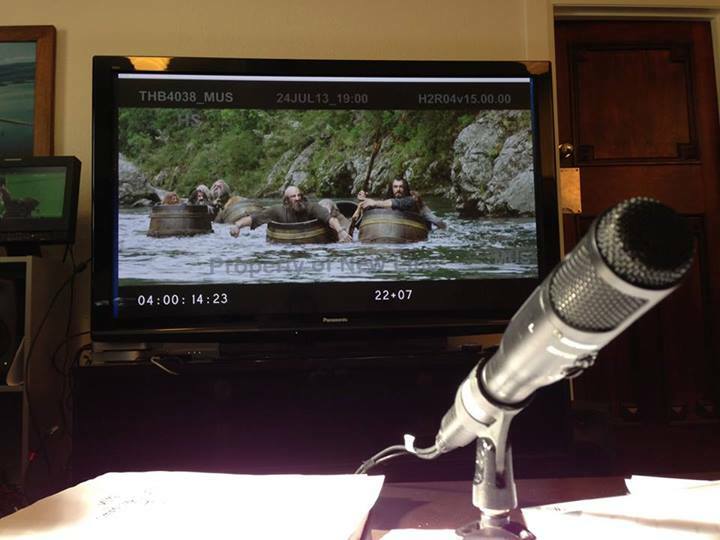 Tim here with some new details on the The Hobbit: An Unexpected Journey Extended Edition that's coming out this fall. In all the Extended Edition will contain 13-minutes of additional footage and nine hours of bonus content. First the Extended Edition will be hitting the Digital Download scene on October 22nd and will be followed by 3D Blu-Ray, Blu-Ray, and DVD release on November 5th. The five-disc Blu-ray 3D set will retail for $54.98, while the three-disc Blu-ray will be priced at $35.99; and a five-disc DVD at $34.99. Bonus features include audio commentary with Peter Jackson and co-producer-screenwriter Philippa Boyens; along with "The Appendices," a multi-part documentary focusing on various aspects of the film and the trilogy. All will have UltraViolet, and Digital Download will most likely see a select number of bonus items as iTunes Extras for the digital iTunes release. "I'm thrilled that the extended edition will give fans the opportunity to experience certain key scenes in the film as they were originally shot, as well as an abundance of special features," Jackson said in a statement. "It's exciting to present this expanded and enriched version of 'An Unexpected Journey' to allow fans to fully immerse themselves in the movie, before seeing the second part of the trilogy." WRITER'S NOTE: Personally I'm not a big fan of the box art. I loved the LOTR Extended Edition box art and wish this was consistent with those, but understand that due to declining home market sales of physical copies of movies the studio needs to do everything they can to make the art recognizable with the movie. It needs to sell. I'm on the Digital Download side, and only buy movies now in that format. If only they'd release a 3D version in Digital Download. Technically they can do this (I've tested iTunes format SBS 3D through AppleTV on to 3DTV), but it has yet to happen. 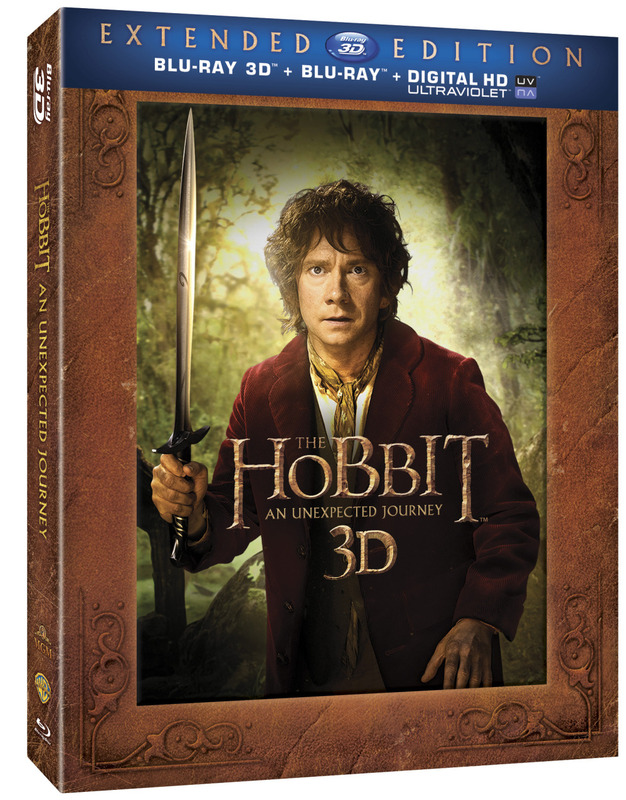 The Hobbit: An Unexpected Journey Extended Edition hits shelves Novermber 5th. The Hobbit: The Desolation of Smaug hits IMAX 3D and RealD 3D theaters December 13th, 2013, and The Hobbit: There and Back Again hits IMAX 3D and RealD 3D theaters December 17th, 2014. Labels: 2013, 3D, 3D Blu-ray, Digital Download, Extended Editions, Peter Jackson, The Hobbit, The Hobbit: An Unexpected Journey, Warner Bros. 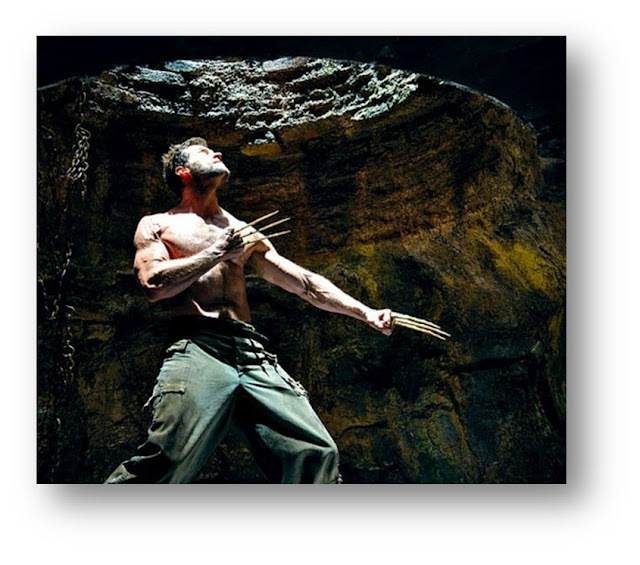 THE WOLVERINE hit $21 million on Friday's day of business and that extrapolates to an approximate weekend frame north of $50m. It's not the opening that everyone was hoping for as X-MEN ORIGINS: WOLVERINE managed to get $34.4m on its opening Friday. 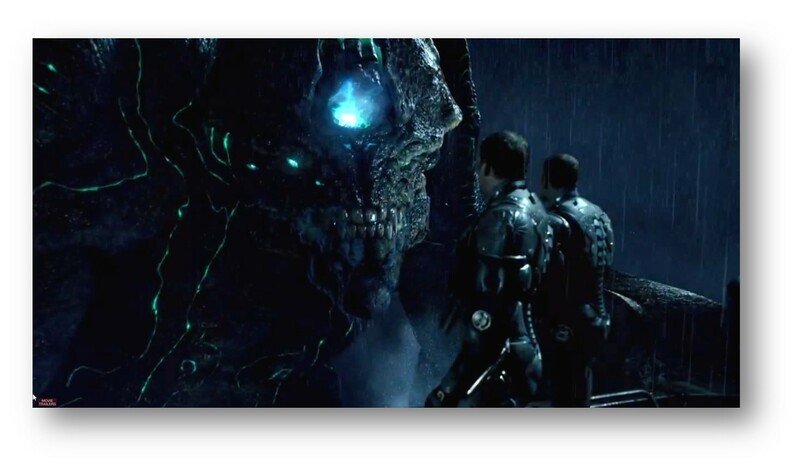 However, it is possible that the leaking of the 2009 origins movie a month early had something to do with the increased awareness. Some would say that it would have an opposite effect, but the fact remains that it's hard to compare the two because of that event alone. The marketing has been stellar for THE WOLVERINE though and Fox should take a bow for that. Those white background, seemingly hand inked posters alone are like pieces of art. I'll be checking it out Monday - at least that's the plan! THE WOLVERINE is now playing. Traditional film festivals are desperately trying to evolve to keep pace with new technologies and mediums, not the least of which is the Internet itself. I've had heart to heart discussions with local film festivals and they are struggling to understand what it is modern audiences want, while still trying to maintain a decorum of respect for the history they have had in previous years or decades. They're asking questions like: "Should we be worried about competing online film festivals?" and "How do we plan, market and execute for today's youth? ", etc. They should be concerned. 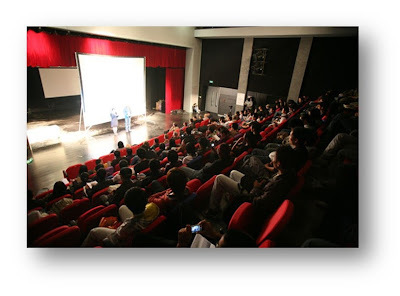 Film festivals as we know it are rapidly changing. Even the "film festival" name is outdated; film is on the way out the back door, if not digging a grave in the back yard already. Digital is what makes independent movie making tick these days with VERY affordable cameras being used by the new generation. In fact, I've seen compelling shorts done by children that are barely teenagers (A great chase scene - complete with fast cuts, handheld shakey cam and soundtrack). It's all a symptom of the entire filmmaking industry changing on a dime. No more celluloid. Cheaper equipment and software. Free distribution via the Internet. It's what many of us have been waiting for, for a very long time. The wild west of filmmaking has arrived. 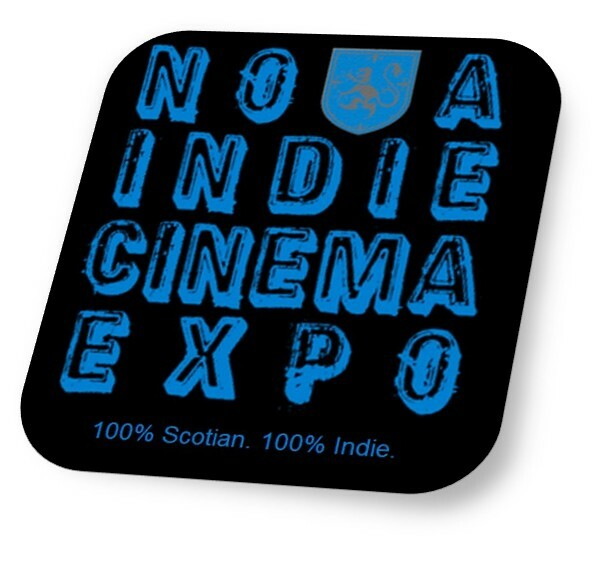 Case in point is the first annual NOVA INDEPENDENT CINEMA EXPO (www.novaice.ca) from Nova Scotia, Canada. Check them out. I simply love the simplicity of their offering and the cool categories for admission consideration: Short films (less than 10 minutes long, and can be absolutely any genre i.e. comedies, horrors, science fiction, etc. Submission fee* for short films is $5 per film. Full Length Films category is for films over 10 minutes long. Typically these are shorter than 30 minutes, but exceptions can be made. These films can be any genre (comedies, horrors, science fiction, etc.). Submission fee* for full length films is $10 per film. Cellular Phone Films - yes, it’s exactly as it sounds. Films shot entirely on cell phones! The film must have been shot on a cellular device, and the audio must be captured on same device. Submission fee* for cell phone films is $5 per film. Music Videos - are you a filmmaker that made a unique music video for a local band or artist? This is your category. Submission fee* for music videos is $5 per video. Personally I'd like to see full length movies involved here too, but I understand the workload that these guys will probably be under to view all the submissions and at these affordable submission rates it's already a bargain. I'd recommend introducing full length movies, but also a first stage of adjudication through the use of an online voting platform. This will also allow for viral social networking to spread the festival and videos under consideration. Second stage could be a peer to peer review platform to see who gets to be screened and finally judges could review the finalists for the awards. Just my 2 cents. The Cellular Phone Films category is genius. A no-brainer really, yet I haven't seen that category for a multi-genre festival before. The iPhone 5 for example has a great capability for shooting video and has available apps for anything from shooting to editing to visual effects. There is a cool piece of recording hardware (Rode iXY) that you can add on to improve your sound quality as well. I'm anxious to see where all of this is heading. We have Kickstarter and Indiegogo eliminating the financial burden of filmmaking that are already much, much more affordable these days with affordable cameras (I use a hacked GH1 still and it continues to amaze me), lighting (LEDs are bright, run cool and cheap), free distribution (YouTube, Vimeo) and even Moby is giving away his music for filmmakers movie scores (mobygratis.com)! And finally something else to definitely keep an eye on is S3D independent movies in film festivals. I certainly plan on doing that with DREADLOCK, the horror thriller that I've written and will be directing next summer through Phobia Films. The plan is to shoot native 3D and the choice of camera and rig is still up in the air. And you all know Tim Buttner - I'm hoping that he will be able to join me on the project as Director of Photography. I love the stuff he has done AND he has native 3D experience. First Trailer For Keanu Reeves' 47 RONIN! Tim here, and this trailer for 47 Ronin came out a few days ago, but flew a little under the radar because of all the Gravity hype. I apologize for that. However, it's below for you to enjoy! The film centers around a band of samurai set out to avenge the death and dishonor of their master at the hands of a ruthless shogun. Visually the film looks stunning. It was shot natively in 3D with the ARRI ALEXA! The trailer is heavily action oriented, and has an intense sound mix. Check it out for yourself! 47 Ronin opens in 2D and 3D on December 25, 2013. 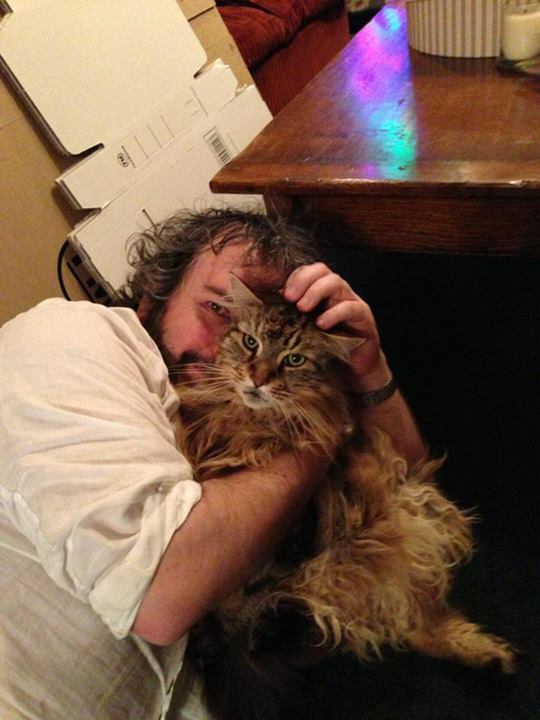 Tim here with your recap of Peter Jackson's Facebook Blog of the last day of shooting on The Hobbit films. It looks like it was a long day (20 hours) for Mr. Jackson and the crew of The Hobbit, but they managed to get everything they needed. As Jackson noted: "15 years of Tolkien… 771 days of shooting…"
At midday PJ conferenced via video chat with Howard Shore for Music Spotting. "Spotting" involves talking through edited scenes with Howard, and figuring out everything he needs to do a first pass at the music composition - where music should start and stop, what mood it should have, themes to use, moments to punctuate. To stay on schedule, Howard needs 10 mins of cut footage every week. The score for The Desolation of Smaug is going to be terrific, according to PJ. They were a little frustrated with An Unexpected Journey because they had to revisit so many of the LOTR themes: The Shire, Rivendell, Galadriel, Gollum, and the Ring. This time around, apart from a couple of Ring moments, the score is all new: Beorn, Mirkwood, The Woodland Realm, Laketown, Bard and Smaug all give Howard the chance to write brand new themes, and he's knocking it out of the park! With Andy Serkis busy being a monkey at the moment (Caesar, Dawn of the Planet of the Apes), the directing duties for the splinter unit have fallen on Christian Rivers's shoulders. PJ's relationship with Christian Rivers goes back to 1986 when he recieved a fan letter from the 13-year-old school boy Christian, which happened to have drawings of wizards and dragons. By Braindead Christian joined the team as a storyboard artist, and has made all the storyboards for PJ's movies since. He became an animation director on King Kong and won an Oscar. He's now directing the splinter unit, and developing projects of his own. It proves that fan letters can pay off! The tent is where PJ has spent more time in the last two and a half years than anywhere else. 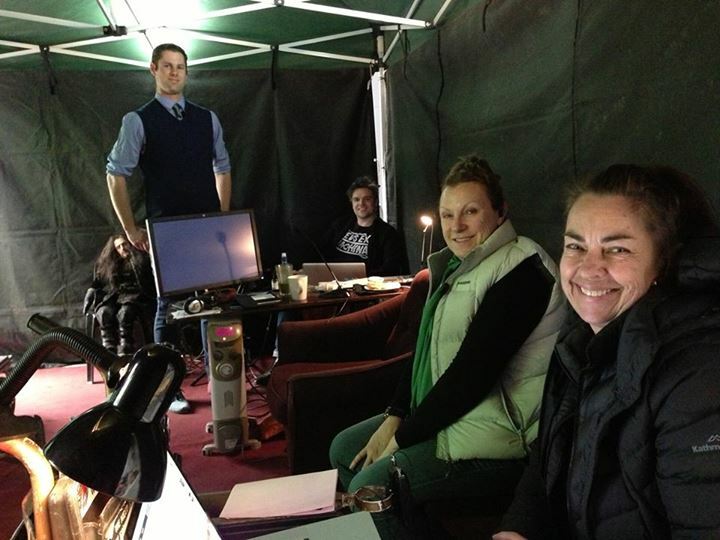 He shares it with Victoria, the script supervisor, Jabez the editor, Seb, his assistant and Caro, the producer. Jabez and PJ try to edit previously shot scenes while he's filming. Caro and PJ have worked together since Heavenly Creatures. His big chair has a story. He used to always sit the small wooden and canvas "director's chair" until Dec, 2000, when Harry Knowles visited during the very last week shooting LOTR. Harry wasn't going to fair too well in a small chair, so the Unit guys bought a crappy old arm chair from a second hand store. When he left, and the shoot was finished, PJ tried it out and found it quite comfy. Caro had it recovered. He's used it ever since. Another good luck charm. 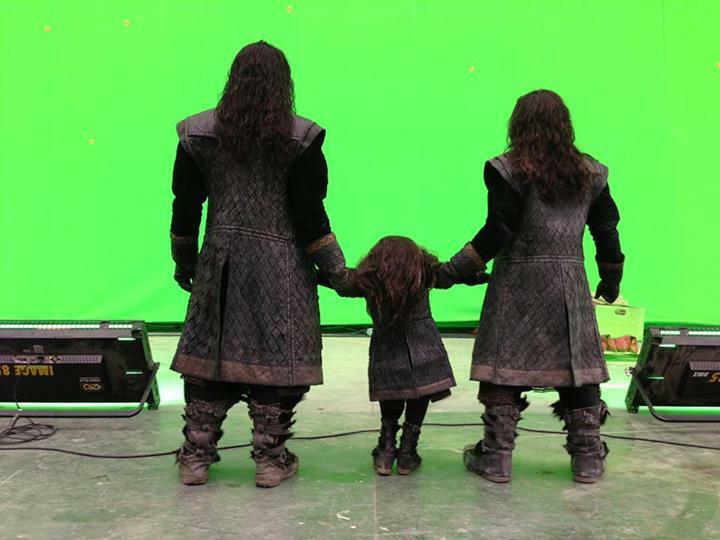 The Hobbit: The Desolation of Smaug hits IMAX 3D and RealD 3D theaters December 13th, 2013, and The Hobbit: There and Back Again hits IMAX 3D and RealD 3D theaters December 17th, 2014. 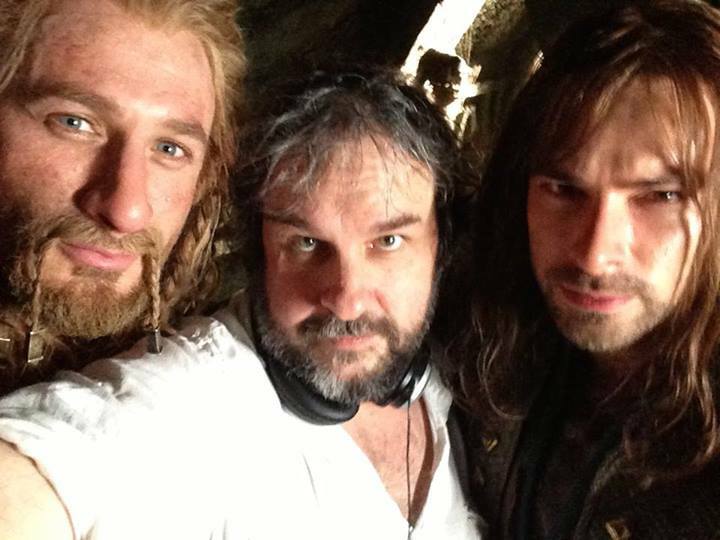 HOBBIT: Last Day of Shooting PJ Blogging All Day! Ever since starting these blogs, there's been something I thought I'd like to try one day (as well as answering the other 19 questions I owe you!) - blogging throughout a shoot day in real time. Try to give you all a feeling for what we deal with on an average day. Today is not exactly "average", given it's our last day of shooting, but if I don't do it today, I never will! So here goes ... I'll try to update as much as I can during the day. At least with a quick photo. Text will depend a little on how busy it gets. Right now, it's just gone 6.30am here in Wellington. I'm in bed, about to get up! I didn't get much sleep - too stressed about how we're going to get through everything we need to shoot. I kept running it over in my mind. We're shooting scenes for Film 3 today. Stuff you will see in Dec 2014, so I'm going to try and make this honest, but spoiler free. 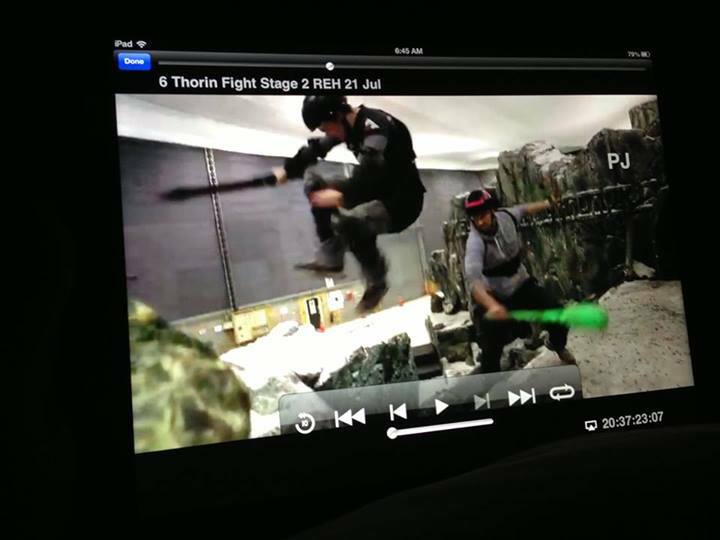 I've been lying here in pitch darkness, watching fight rehearsals over and over again. Our stunt co-ordinatior, Glen Boswell, worked with the actors last weekend, designing some climatic battle moments. He filmed them, and I have them on my iPad, in an application we wrote called "WingNut TV". It's a program that allows a huge amount of material to be catalog used and updated each day over the Internet. It contains all our dailies, edited films, previs, music, and much more. I'm looking at the fights, figuring out the angles I'll need to film them today. A huge amount to do, and it needs to get done. Our shoot day starts at 8.30am, and is supposed to finish at 7.30pm. I suspect we'll be working late. 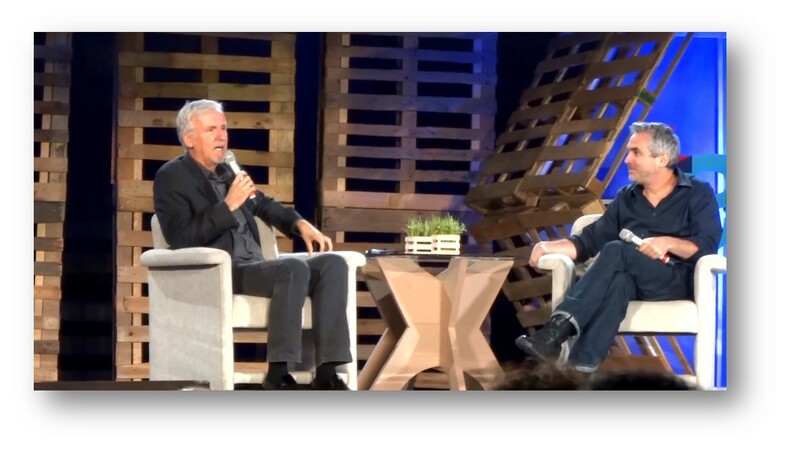 Whenever we work a long day, I joke with the crew that I'm just softening them up for when Jim Cameron shows up in Wellington to shoot Avatar 2 and 3. Well ... It's not really a joke. I'll try and update often today. Make sure to check in regularly to see what more he posts! We'll post a recap when he finishes all his posts. 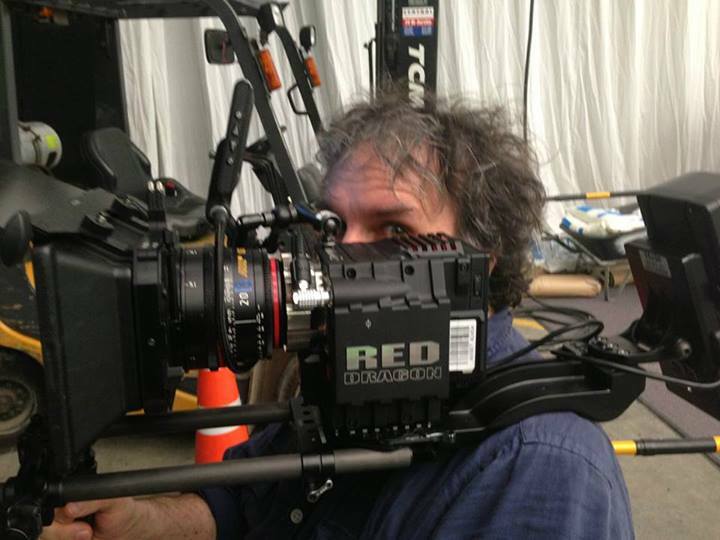 Also, don't forget to scroll down to see the pic he posted yesterday of him with the early release model of the next generation RED camera... "The Dragon"
MUST WATCH: Two More GRAVITY Trailers! ANOTHER TWO! Tim here, and a third trailer and fourth trailer for Gravity arrived! 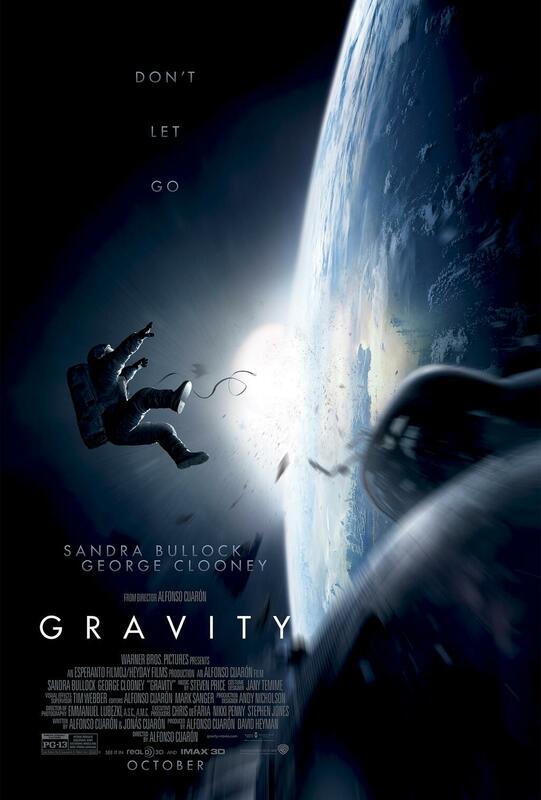 Unlike the previous One Shot Trailer that hit yesterday, the first one is a sequence from the film that contains a couple of intense shots as the two main characters (Sandra Bullock and George Clooney) attempt to grab hold onto a satellite. This trailer, just like the previous, is a heart pumping thriller. The second new trailer is also one shot. It seems to take place after the events depicted in the other one shot trailer that hit yesterday. This one is a really cool shot that starts inside the spacesuit helmet of Dr. Ryan Stone (Bullock) as a POV and then moves to an extreme close-up of her face before drifting away from her. All the while she is spinning freely in space above the Earth, which is lit up by all the lights from our cities. The illumination of the Earth at night paired with her desperate calls for an answer to her transmissions is chilling. There seems to be unease that the filmmakers are showing us too much ahead of time. However, one has to remember that these are only 2-minute clips from a feature-length film. That means there's 85-110 minutes of screen time left based on the average feature length. If anything these are great teases that make me excited to see the entire thing. GRAVITY opens in 2D, 3D, and IMAX 3D on October 4. Labels: 2013, 2D to 3D, 3D conversion, Alfonso Cuaron, George Clooney, Gravity, Sandra Bullock, Sci-fi, Trailer, Warner Bros.
Lightstorm Entertainment's Producer Jon Landau (Here's part of why MarketSaw loves Jon!) 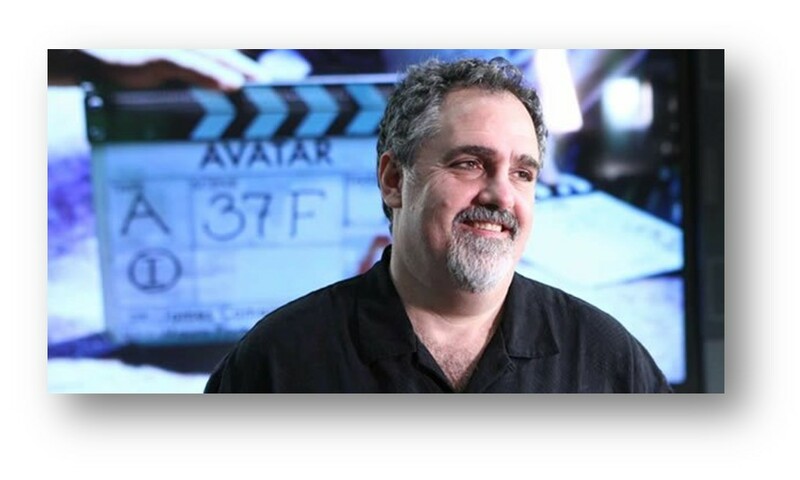 was on hand at Siggraph last night to show off some early live capture, lighting and shadow tests they did for AVATAR 2. Apparently this work showed off some Na'vi and humans in a CG environment and was shot back in November. 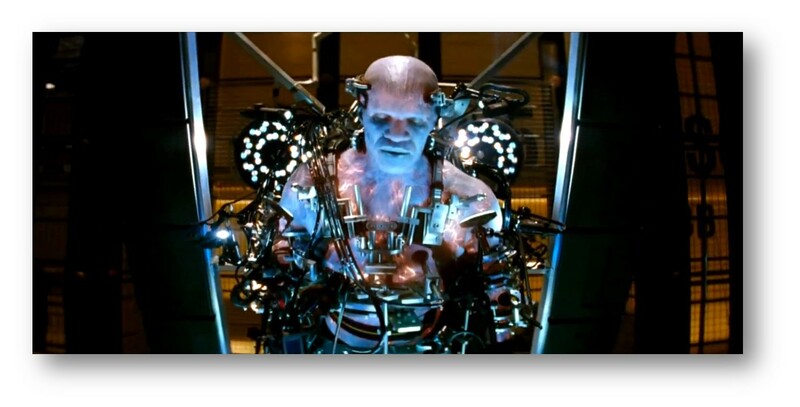 Obviously even the tech that James Cameron hopes to use is still very much a work in progress. It never stops in fact. Still it's great to hear something new about AVATAR 2 from one of the guys deep in the know - Landau. He spent time with Autodesk's Motion Builder software showing off the newest advances in lighting and shadows. The key to all this and the end benefit for Cameron and his team will be more meshing between more detailed imagery coming out of Motion Builder being sent directly to Weta (Peter Jackson's visual effects house) thereby improving productivity and approvals. Cameron wants to be able to light and shadow his virtual sets in real time and they are getting closer and closer to that eventuality. Says Landau: "Ultimately our goal is to get to this on stage [for live capture]. This is going to allow Jim to light the scenes and make the process more efficient ... and focus on what is most important—the close up. Movies about storytelling." AVATAR 2 is slated for a Christmas 2015 release and that could easily change. GRAVITY - Second Trailer Lands in One Shot! OH MY! Tim here with the second trailer for what looks to be an incredible movie in GRAVITY. Word has also come that it will make its North American premiere at the Toronto Film Festival after it opens the Venice Film Festival a few days earlier. It's all in one shot! One single take for the incredible action shown in the trailer. Previously we had been told that the film would have an incredibly long take (17 minutes) with additional long takes running throughout, and this small snippet helps us to understand just how incredible these long shots will be. Cuarón mastered long takes in his previous films, but this one seems to be capable of raising the bar. The trailer gives me a strong feeling that this film will win awards. The trailer is code-named "Detached" and yet, the trailer is anything but detached from suspense. In it we witness the collision event, which was previously shown as quick snippets in the previous trailer. This is from early on in the movie, and sets the stage for the rest of the film's drama. Bullock stars as Dr. Ryan Stone, a brilliant medical engineer on her first shuttle mission, with veteran astronaut Matt Kowalsky (Clooney) in command of his last flight before retiring. But on a seemingly routine spacewalk, disaster strikes. The shuttle is destroyed, leaving Stone and Kowalsky completely alone--tethered to nothing but each other and spiraling out into the blackness. The deafening silence tells them they have lost any link to Earth...and any chance for rescue. As fear turns to panic, every gulp of air eats away at what little oxygen is left. But the only way home may be to go further out into the terrifying expanse of space. 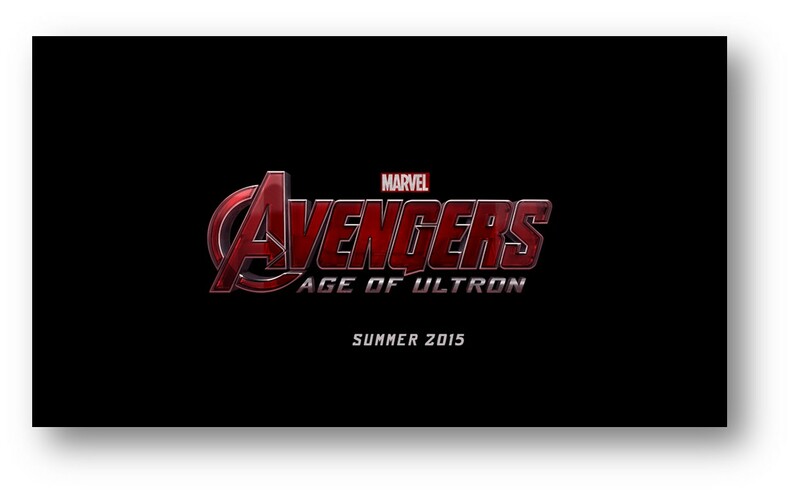 So not to be outdone, Marvel announced their title for THE AVENGERS 2 yesterday and it's THE AVENGERS: AGE OF ULTRON (official logo is top left). 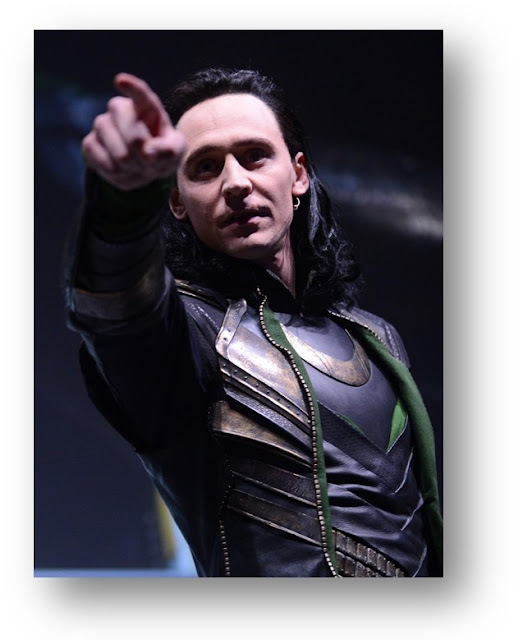 Videos of the Marvel panel and Loki's entrance and speech are below! Below you will see a few things, not the least of which is the importance of ANT-MAN to the franchise now and also the fact that a lot of this story will have to be changed. Obviously we can't have Spider-man and Wolverine in a Disney movie yet and the world being vastly destroyed can we? Suspension of disbelief is important to maintain and it's hard to constantly relate and revisit a devastated world. New York is in ruins. Ultron has returned and has taken over everything and everyone. His Ultron Sentinels are guarding the streets looking for any fugitives. Locating where Spider-Man is being held hostage by the Owl and Hammerhead, Hawkeye attempts to rescue him. Upon Hawkeye's location of Spider-Man, Ultron locates their position and launches a full assault in an effort to kill the two heroes. Hawkeye destroys the Ultron sentinels as the two make their way to an underground area beneath Central Park, where a group of survivors including Iron Man, Emma Frost, She-Hulk, Luke Cage, Invisible Woman and Wolverine have taken refuge. Defending his one-man mission, Hawkeye responds that at least he did not give up on the world. Iron Man responds that they have not as he shows Hawkeye a saddened Captain America sitting by his broken shield and states he was thinking. Sneaking around on the streets of a decimated San Francisco, a partially disfigured Black Widow rendezvouses with Moon Knight in one of Nick Fury's old bases. Back in New York, Spider-Man recalls how he simply woke up and found the world under attack. 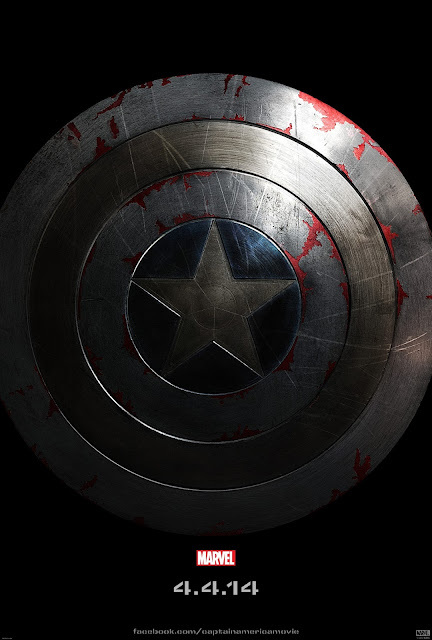 As the heroes ponder why Ultron would take over the world just to make deals with low-level criminals like Owl and Hammerhead, Captain America informs the other heroes that he now has a plan. He states that if superheroes can be offered to Ultron as Spider-Man was, they could offer up one of their own, sending someone in who can damage the inside of Ultron's fortress. Luke Cage and She-Hulk step in to take the trade. Luke agrees to deliver She-Hulk to Ultron's forces. Meanwhile in Chicago, Black Panther, Red Hulk, and Taskmaster watch a group of Ultron Sentinels. Red Hulk decapitates one, giving the head to his allies. Back in New York, a group of Ultron Sentinels meet with Luke Cage and She-Hulk and guide them through the fortress to make the deal. Luke Cage is shocked when he discovers that they are to negotiate with the Vision instead of Ultron. The Vision reveals to Luke Cage and She-Hulk that Ultron is using him as a conduit and is punishing humankind from the future. After learning this, She-Hulk forces Cage out of Ultron's lair and is killed by Ultron's sentinels while protecting him. Cage survives a nuclear explosion from Ultron's Sentinels while the superhero resistance flees from Manhattan. In the San Francisco base they had discovered, Black Widow and Moon Knight discover Fury's fail-safe plans for different apocalyptic scenarios, including one involving Ultron taking over the Earth. In Chicago, Red Hulk catches up to Taskmaster who has in his possession the head of one of the Ultron Sentinels. Red Hulk declares that he can no longer trust Taskmaster and kills him. Eight days later, the heroes who had survived capture in New York arrive in the Savage Land where they meet Ka-Zar who leads them to a refuge area. The heroes arrive as Luke Cage dies from radiation poisoning after telling them what he has learned. Red Hulk, Moon Knight, and Black Widow arrive and reveal a plan made by Nick Fury to defeat Ultron. As Ultron's forces lay waste to Austin, Texas, the heroes in the Savage Land find a hidden bunker. They meet Nick Fury, who relates his plan to use Doctor Doom's Time Platform to go into the future with a strike force to defeat Ultron before he attacks the present. Tony Stark points out that Ultron will know they are coming and will be ready for them. Wolverine suggests using the platform to go back in time to kill Henry Pym before he creates Ultron but most of the others disagree with this idea. Valkryie suggests going back to tell Pym to not build Ultron, but Wolverine points out that will just dare Pym to do it anyway. Iron Man, Captain America, Nick Fury, Red Hulk, Storm, Quake and Quicksilver use the platform to go into the future. After they leave, Wolverine announces his intention to carry out his plan to travel into the past and kill Henry Pym so that Ultron's creation never comes to pass. While the heroes travel to the future, Wolverine arrives in the past, only to be surprised to learn that Invisible Woman has followed him. Despite her reluctance to go along with his plan, she accompanies him when stealing a S.H.I.E.L.D. hovercar from a younger Nick Fury to travel to New York. As the heroes in the future are overwhelmed by an army of Ultron Sentinels, Wolverine and Invisible Woman find Henry Pym analyzing Dragon Man. Despite Invisible Woman's attempts to find another way and Wolverine's acknowledgement of the good Pym has done, they finally accept that Wolverine must kill Pym. This leads to a fight between Wolverine and Henry Pym which ends with Pym's death. Wolverine and the Invisible Woman return to the present only to find the Savage Land covered by wreckage of crashed ships. Sue recognizes them as Kree and theorizes that in this new timeline, the Kree-Skrull War came to Earth. They see men in armor calling themselves the Starkguard checking the area out. The two then go to New York City, with multiple S.H.I.E.L.D. Helicarriers around. Their flying car is shot down as they find themselves attacked by the Defenders (consisting of a one-eyed Captain America, Doctor Strange, Hulk, Wolverine, the Thing, a one-eyed Cyclops, the Wasp in Captain Marvel's costume, and Star-Lord). The Thing is surprised to see Susan "back" but the rest of the group believe the two are Skrulls. A fight breaks out with the two Wolverines going at it hard, with the time-traveling Wolverine putting down his double and saying they did what they had to do to make a better world. The Defenders realize they are not Skrulls and reluctantly realize they have to talk to "him." At that moment, a half-cyborg Tony Stark flies in with a platoon of armored robots demanding to know what is going on. Iron Man runs a psychic scan on Wolverine and the Invisible Woman, stunned to see the alternate reality alongside Professor X and Emma Frost. They tell Iron Man these memories are real but Stark believes Morgan le Fay planted them as spies. Iron Man meets the original timeline Wolverine and explains that his injuries are due to a war between Latveria and Asgard in which Thor vanished and Morgana conquered half the world. Wolverine is shown the footage of Henry Pym's death while Iron Man recounts that the Avengers broke up afterward and magic overcame technology and "you broke the world." At the Helicarrier, the Defenders' Wolverine decides to talk to his other self and the others help him push past Emma Frost with the Thing wanting to help the Invisible Woman. Iron Man chastises Wolverine on simply killing Hank Pym saying he could have gotten Pym to use a virus to stop Ultron instead. The Invisible Woman breaks free causing Iron Man to believe this is all a Morgan le Fey trick. At that moment, Morgan le Fey attacks with a swarm of magically-powered Doombots. The Defenders fight them with Iron Man controlling hundreds of drones and accusing le Fey of responsibility for the time travelers. She claims innocence and then points out to Iron Man that a pair of Helicarriers are crashing into the heart of New York City. The explosion kills most of the heroes present as Wolverine pulls himself from the wreckage. A dying Tony Stark tells him he cannot simply go back and try to change this again, that time is a living organism that will break if ripped too much. In the past, the previous Wolverine is about to kill Henry Pym when the newer Wolverine (clad in his classic costume) comes to stop him. After using an incident from their past to convince his double of who he is, the newer Wolverine warns that killing Henry Pym will just make things worse. Henry Pym claims he will not build Ultron, but Wolverine says he has to in order to allow history to continue. Pym says he can build a better A.I., but with a shut-off switch if he needs it. The Invisible Woman arrives to tell him he has to forget all this too with Pym confused as to how that happens. The Invisible Woman and the two Wolverines return to the Savage Land. The two Wolverines enter a cave. The newer Wolverine tells his double that he does not want to live with the memories of the world he saw. The past Wolverine kills his double and returns to a stunned Invisible Woman. Back at his laboratory, Henry Pym is putting together the first version of Ultron who calls him "Daddy." Months before Ultron's attack, Henry Pym is working in his lab when he has given a package from a hidden Invisible Woman. He watches a video of his younger self which supplies a pack of equations on how to stop Ultron. The Avengers attack the headquarters of the Intelligencia to rescue Spider-Woman, the event that led to Ultron's revival. When Ultron is revived, Pym contacts Iron Man to supply the equations he was given and upload them into Ultron. Ultron is jarred to realize he is being defeated despite holding off the Avengers. The code is fully uploaded to shut him down and the virus destroys him. Wolverine and the Invisible Woman return to the present happy to see New York City back to normal. Before they can celebrate, a massive shockwave echoes through time and space as reality seeming to shatter before being pulled back together. At Avengers Tower, Henry Pym, Iron Man, and the Beast theorize that Wolverine's time travel journeys caused too much stress to the space-time continuum and has created various tears across the fabric of the multiverse. In the Ultimate Marvel universe, Miles Morales is out as Spider-Man when a flash of light echoes to reveal Galactus. Henry Pym talks to himself on what went wrong and suddenly realizes what he has to do. High above Earth, Angela appears vowing revenge on whoever has pulled her from her world. Henry Pym reviews the data that Wolverine has brought back and is starting to slip into insanity. Fresh off the disaster he just saw, Pym has sat in his lab for four days straight. Not one but two apocalyptic timelines were shown in Wolverine's data and neither would have happened if he had acted differently. He is considering suicide. A sudden thought occurs: the other timeline was worse because it lacked Henry Pym. Not just Hank Pym the scientist workaholic, but Henry Pym, the ant-commanding, size-changing, second-guessing, science-adventurer. Henry Pym has had a positive effect on the world, and can again. Henry Pym is going to save lives by doing what Henry Pym does best...heroics and science with a strong theatrical flair. Whew! Lots of back story courtesy of Wikipedia - thank you! I'm really pleased with how Joss Whedon, Kevin Feige, Marvel and Disney are helming the direction of these characters. I have complete faith in them. No missteps since IRON MAN (skipping HULK in 2008, which I really didn't mind). UPDATED! Comic-Con 2013: Superman And Batman Face Off In 2015! Flash Is Coming In 2016 And JUSTICE LEAGUE In 2017!! Where better to announce comic book super hero movie news? Comic-Con! Everyone had better start a separate savings account to see all the blockbuster tentpoles that are dropping in 2015. Add WORLD'S FINEST to that list (that's my title guess and I'm sticking to it). Yes, that's right - Superman and Batman in the same movie and soon! Makes for interesting and somewhat legitimate competition for Marvel's THE AVENGERS 2 as well. No announcements yet on the return of Zach Snyder, David S. Goyer and Christopher Nolan - but that should just be a formality. They won't screw this up... they better not screw this up! Don't mess with lightning in a bottle. That goes with 3D as well. DC must match up to Marvel and why they haven't tried to one up them with native 3D productions is beyond me, but at least they are in the game. But hold on! DC and Warner Bros. didn't stop there. FLASH is coming in 2016 (YESSSS!!) and JUSTICE LEAGUE in 2017. More details to come - but WOW. I'm liking the announcements, the suspected people behind the announcements and the pure excitement of it all. More when we get it! Man, what great news. Zack Snyder, who made a surprise appearance at Comic-Con today, breaking the news to audiences there, later said, “I’m so excited to begin working again with Henry Cavill in the world we created, and I can’t wait to expand the DC Universe in this next chapter. Let’s face it, it’s beyond mythological to have Superman and our new Batman facing off, since they are the greatest Super Heroes in the world.”The new film brings back Charles Roven and Deborah Snyder as producers. This time, Christopher Nolan and Emma Thomas are serving as executive producers, along with Benjamin Melniker and Michael E. Uslan.Thomas offered, “Whilst our Dark Knight trilogy is complete, we have every confidence that Zack’s fresh interpretation will take the character in a new and exciting direction. His vision for Superman opened the door to a whole new universe and we can’t wait to see what Zack does with these characters.” The film is based on Superman characters created by Jerry Siegel and Joe Shuster, and Batman characters created by Bob Kane, published by DC Entertainment. Comic-Con 2013: Teaser For THE AMAZING SPIDER-MAN 2 ! Ok yes, I'm disappointed that Marc Webb is not shooting THE AMAZING SPIDER-MAN 2 in native 3D. I thought the first one looked awesome. But this is Spider-man and quite frankly my favorite superhero, so on with the show! We've got the first teaser for TAS2 featuring one of my fav Spidey villains, Electro. The teaser was put together for San Diego's Comic-con which is happening this week. Jamie Foxx really wanted this role so I'm anxious to see what he does with it. He's definitely a great actor. 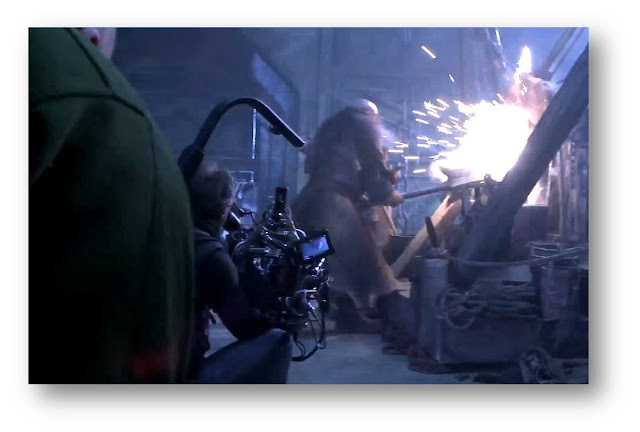 Must Watch: Behind The Scenes Of PACIFIC RIM: "Legendary Set Visit" - Visual Spoilers! PACIFIC RIM is an amazing movie. I will review it soon and post it on MarketSaw ASAP for you, but Tim's review is here. My review will have a lower score - though not by much. I felt the 3D was good but had some serious flaws in a few scenes (not the whole movie). Definitely see it in 3D though - there is no question that it's the way to go - the bigger the screen the better. PACRIM is an original movie. Sure giant sea monsters have been done before, but nothing on this scale or with such a human element. The kaijus and jaegers are magificent. I have to go again. It's my favorite movie of the summer and of the year thus far. THE GREAT GATSBY is my highest rated, but PACRIM is popcorn baby! My favorite. I just wish it was shot in native 3D. 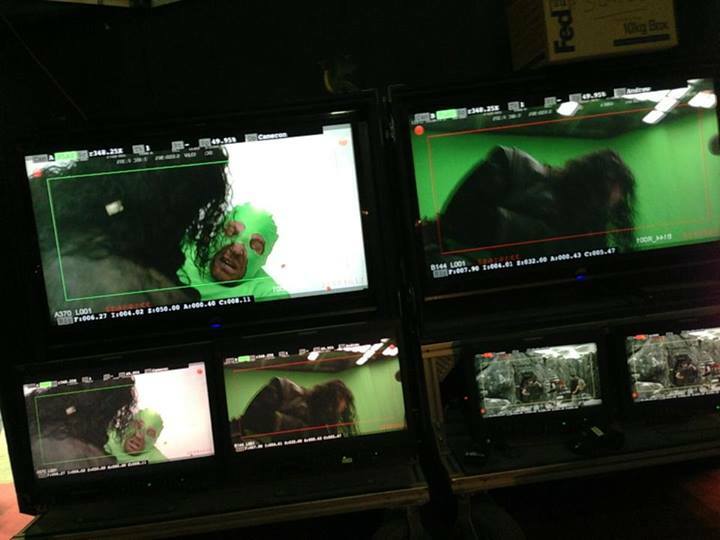 Here's some behind the scenes action from one very compelling moment from PACIFIC RIM (visual spoilers!) and one that I felt they nailed. Very intense. Well done Guillermo! PACIFIC RIM is playing now! What are you waiting for? See this on the big screen as it was intended to be seen. Trust me. 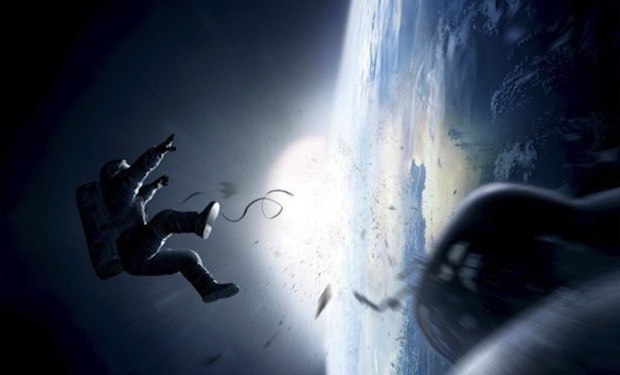 Check the latest image from Alfonso Cuaron's GRAVITY. This movie is going to be a spectacle to be sure and undoubtedly a cinematic marvel. Remember CHILDREN OF MEN? I sure do - now add space, Bullock and Clooney... can't wait for this! GRAVITY drops into theaters on October 4. Tim's PACIFIC RIM Review! 9.4 Stars!! Tim here, and what follows is my review for Pacific Rim. The first movie from director Guillermo Del Toro since 2008's Hellboy II: The Golden Army, the movie is about a war between humankind and monstrous sea creatures. As it wages on, a former pilot and a trainee are paired up to drive a seemingly obsolete special weapon in a desperate effort to save the world from the apocalypse. The movie comes from a story by Travis Beacham who co-wrote the screenplay with Guillermo Del Toro. Let me start with the story: A great fun summer movie for the ages! It follows the 3-Act Joseph Campbell hero arc structure to a tee, but with some pleasant surprises. It's a pleasantly original concept that is fresh and full of good humor interspersed with the mind-blowing action. Despite being able to point out the plot points the moment they happen, it's still a fun ride in a well told story. The character development was extremely solid and had some fantastic characters. Although they weren't completely as well rounded as a complex drama character they were well crafted for the story. These characters were supported by some very fine acting from all the performers involved. Charlie Hunnam (Raleigh Becket) was a solid lead actor who made a great transition into leading man after years on the TV Series Sons of Anarchy, and he had great chemistry with Rinko Kikuchi (Mako Mori). Rinko was great in her role and I'm very excited to see her later this year in 47 Ronin. She played her character with sincerity and great poise. Idris Elba (Stacker Pentecost) was a fantastic stern military leader with a soft heart. He's always a pleasure to watch as he's a great performer. Charlie Day (Dr. Newton Geiszler) was absolutely a scene stealer. His comedic timing was perfect for this movie. I hope he does more with Del Toro in the future, especially playing more scenes off Ron Perlman (Hannibal Chau) who we all know as a Del Toro regular. Perlman was also a scene stealer despite his short screen time. However, make sure to stick a little bit longer after the credits start for some extra Perlman goodness. It's a treat. Top notch work on the visual effects by John Knoll and the Industrial Light and Magic (ILM) team. One of the smartest decisions was to use natural elements (rain, night, and snow) to hide some of the finer details of the Jaegers and the Kaiju, but this also helped create extra stereo elements. 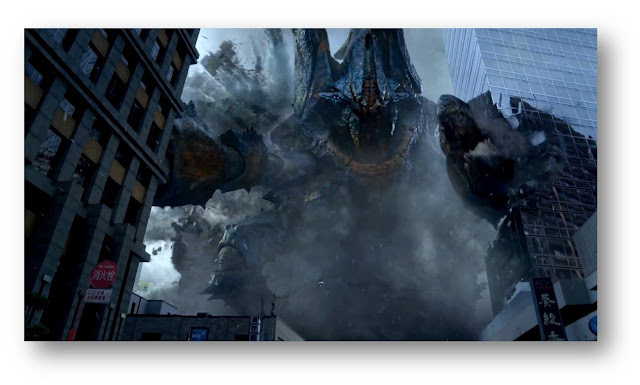 The Jaegers and the Kaiju both looked so real because they were properly obscured by the elements, and even when the view of them was clear they were immensely impressive. The scale felt overwhelming. Look for nominations to fall on the VFX team come awards season. The sound effects were also awards worthy, and Ramin Djawadi provided a thrilling score, and co-wrote the end credits song. Naturally it's best to see the film in IMAX or Dolby Atmos for the best sound experience. Unlike some other giant robot movies… Hmmm, Transformers… the sound here wasn't overwhelming and chaotic. That may sound a little crazy considering it's still a giant robot versus alien monster movie, but it's true. This is a great summer action movie! A must see, especially in IMAX 3D, and should be enjoyed with a group of close friends who also enjoy great action movies. I hope there is a shorter gap between Del Toro's next feature and this because I don't know if we can handle another 5-year wait. Labels: 3D conversion, Charlie Day, Charlie Hunnam, Guillermo del Toro, Movie Review, Pacific Rim, Rinko Kikuchi, Stereo D, Warner Bros. Check the new teaser poster from Marvel for CAPTAIN AMERICA: THE WINTER SOLDIER. It's a rather simple design, but full of impact and insinuation. What do you think? CAPTAIN AMERICA: THE WINTER SOLDIER will pick up where MARVEL'S THE AVENGERS left off, as Steve Rogers struggles to embrace his role in the modern world and teams up with Natasha Romanoff, aka Black Widow, to battle a powerful yet shadowy enemy in present day Washington, D.C.
MUST WATCH: Last Trailer For PACIFIC RIM !! Hold on to your Jaegers. This final trailer is so packed with shots that I had to stop watching it. Look, I'm really looking forward to this movie. I just don't want to see so much! The studios keep pushing out trailers for these major movies and I realize they have to sell them, but they had me the moment Guillermo del Toro smiled and said "To fight monsters, we created monsters". PACIFIC RIM opens on July 12 - WOW getting close! Check the new trailer for Sony Pictures Animation's CLOUDY WITH A CHANCE OF MEATBALLS 2! You have to love the Tacodile Supreme! Very inventive. Love these movies and the animation and 3D quality are amazing. Inventor Flint Lockwood’s genius is finally being recognized as he’s invited by his idol Chester V to join The Live Corp Company, where the best and brightest inventors in the world create technologies for the betterment of mankind. Chester’s right-hand-gal - and one of his greatest inventions – is Barb, a highly evolved orangutan with a human brain. It’s always been Flint’s dream to be recognized as a great inventor, but everything changes when he discovers that his most infamous machine (which turns water into food) is still operating and is now creating food-animal hybrids – “foodimals!” With the fate of humanity in his hands, Chester sends Flint and his friends on a dangerously delicious mission – to battle hungry tacodiles, shrimpanzees, hippotatomuses, cheespiders and other food creatures to save the world again! CLOUDY WITH A CHANCE OF MEATBALLS 2 opens on September 22. Check out the new look for Bumblebee in Michael Bay's TRANSFORMERS 4. Looking pretty stylish! 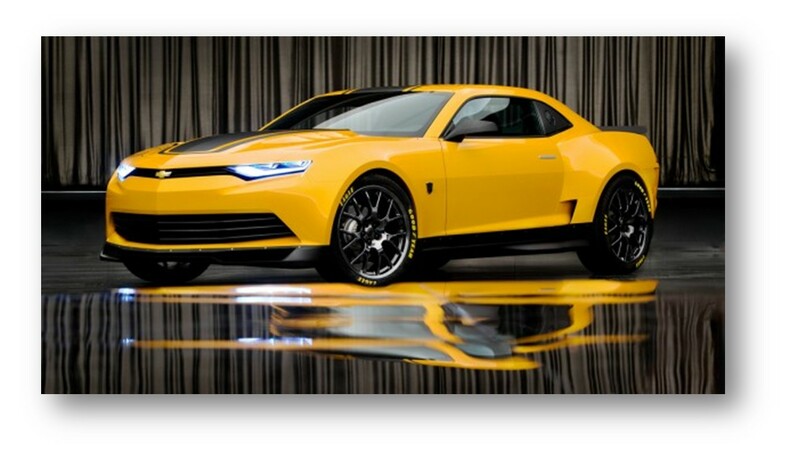 I wonder if Universal Studios will update the Tranformers Ride with the new version of Bumblebee. Probably not. (Loved that ride by the way). These images are straight from Bay's website. 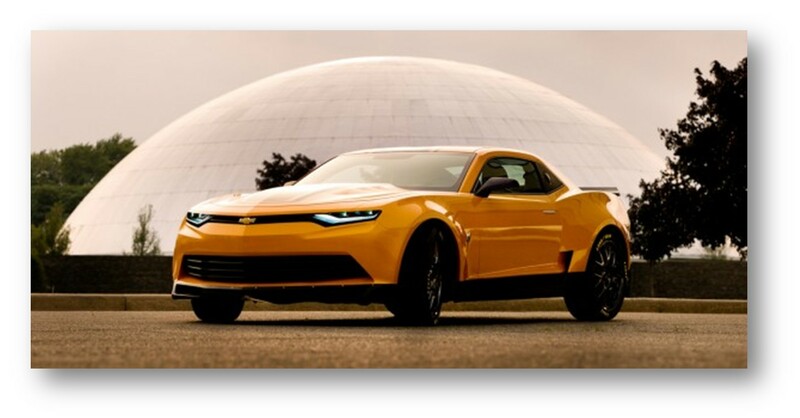 TRANSFORMERS 4 opens on June 27, 2014. 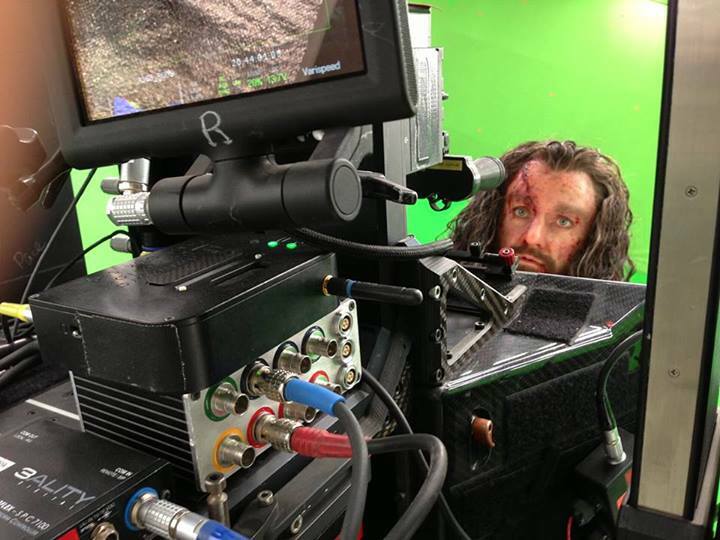 Must Watch: Production Diary 11 For THE HOBBIT: THE DESOLATION OF SMAUG !! 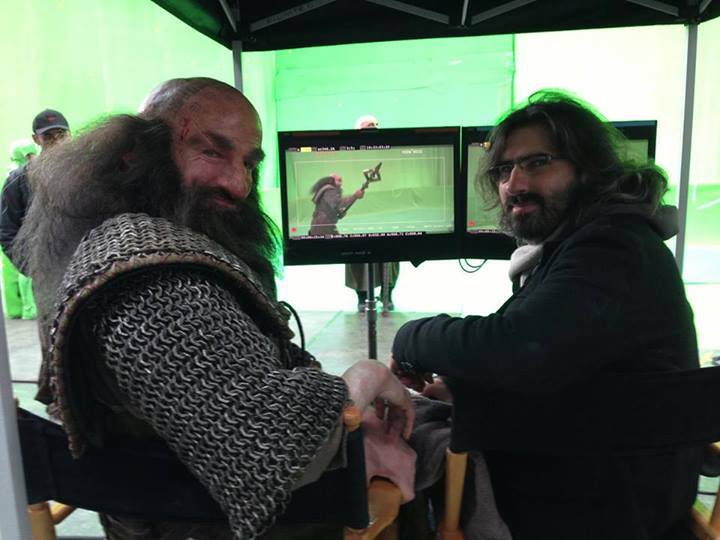 Without further delay here is the next Production Diary from Peter Jackson's THE HOBBIT: THE DESOLATION OF SMAUG. Thank you Mr. Jackson for the time and effort it takes to get these done with your busy schedule and mighty task in hand! I love how he will shoot these things with no worries about having food stains on his shirt. Got to love the down to earth nature of Mr. Jackson! Check out the cool capture shot I grabbed of the Red Epics being housed in a 3ality Technica rig! Peter did have some minor bad news in the video diary but I won't let the cat out of the bag. Obviously I (and I assume many of you) look forward to these with bated breath and this one is no exception! No spoilers!! Just jump to it and ENJOY!! THE HOBBIT: THE DESOLATION OF SMAUG opens on December 13, including HFR 3D.